WASHINGTON The Federal Reserve on Wednesday is expected to maintain its resolve to keep borrowing costs at record lows despite growing signs that the economy is strengthening. 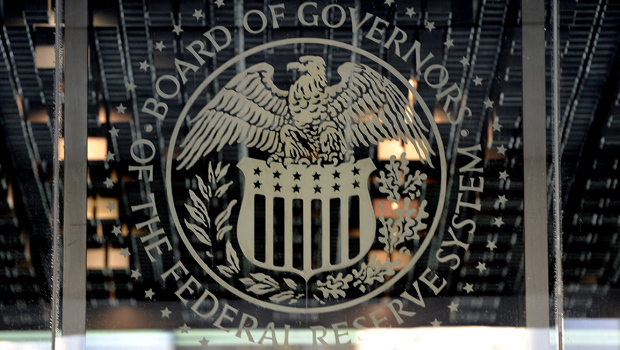 The Fed will end a two-day meeting with a policy statement and updated economic forecasts. Afterward, Chairman Ben Bernanke will hold a news conference. Most analysts think policymakers will acknowledge the economy's improvements but leave the Fed's stimulative policies unchanged. Bernanke has said in recent weeks that the job market, in particular, has a long way to go to full health and still needs the Fed's extraordinary support. The unemployment rate, at 7.7 percent, remains well above the 5 percent to 6 percent range associated with a healthy economy. The Fed has said it plans to keep short-term rates at record lows at least until unemployment falls to 6.5 percent, as long as the inflation outlook remains mild. And it foresees unemployment staying above 6.5 percent until at least the end of 2015. Economists think Bernanke will take note of the economy's gains. But most foresee no pullback in the Fed's strategy of keeping short-term rates at record lows and of buying $85 billion a month in Treasurys and mortgage bonds to keep long-term loan rates down. "Even though the economy has improved, it has not improved enough to switch course," says Diane Swonk, chief economist Mesirow Financial. "We don't have unemployment low enough yet." The economy slowed to an annual growth rate of just 0.1 percent in the October-December quarter, a near-stall that was due mainly to temporary factors that have largely faded. Economists think growth has rebounded in the January-March quarter to an annual rate around 2 percent or more. The most recent data support that view. Americans spent more at retailers in February despite higher Social Security taxes that shrank most workers' paychecks. Manufacturing gained solidly in February. And employers have gone on a four-month hiring spree, adding an average of 205,000 jobs a month. In February, the unemployment rate, though still high, reached its lowest point in more than four years. The brighter news has prompted speculation that the Fed might be preparing to dial back its easy-money policies. Such thinking has been fed by concerns voiced by a few Fed regional bank presidents about the low-rate policies. These include fears that the Fed has pumped so much money into the economy that it could eventually ignite inflation, fuel speculative asset bubbles or destabilize markets once the Fed has to start raising rates or unloading its record $3 trillion investment portfolio. Minutes of the December and January policy meetings showed that some officials suggested that the Fed might need to at least scale back its $85 billion-a-month in bond purchases. Still, the low-rate policies received solid backing in 11-1 votes. And economists see no sign that this support is eroding. When he gave the Fed's twice-a-year economic report to Congress in February, Bernanke defended the low-interest rate programs. And while he acknowledged the fears of critics, he downplayed them. He struck the same note in a speech to a conference in San Francisco. There, Bernanke said it would be "quite costly" to the U.S. economy if the Fed pulled back too soon. At their last meeting Jan. 28-29, Fed officials reaffirmed their decision in December to keep short-term rates at super-lows at least as long as unemployment stays above 6.5 percent. The Fed's benchmark rate for overnight bank lending has remained at a record low near zero since December 2008. The Fed also repeated its plan to keep buying bonds to lower long-term rates until the job market had improved "substantially." One reason for the Fed's reluctance to reduce its stimulus is the history of the past three years. In each of the three, economic prospects looked promising as the year began. Yet in each case, the economy stumbled. In 2010, U.S. growth was hurt by turmoil from Europe's debt crisis. In 2011, a spike in gas prices and supply disruptions caused by Japan's earthquake and tsunami dampened growth. And in 2012, higher gas prices cut into consumer spending. Though the economy has brightened this year, it still faces threats, including across-the-board government spending cuts that took effect March 1 and are expected to trigger furloughs and layoffs. Those spending cuts, along with the Social Security tax increase and higher taxes on top earners, are expected to cut growth in half this year, according to the Congressional Budget Office. The CBO predicts that the drag will slow growth by 1.5 percentage points, to 1.5 percent. David Jones, chief economist at DMJ Advisors, expects the Fed's policies to remain intact this week and at its April meeting. But he says policymakers might signal at their June meeting that they're considering some changes in their bond-buying program. "I think the June meeting will be the one that really counts," Jones says. "At that time the Fed might consider at least tapering its $85 billion in bond purchases to a smaller level."